Our rigidly and technologically developed 2 Hi Cold Rolling Mill for Copper Strip is suitably utilized for rolling strips made from copper. 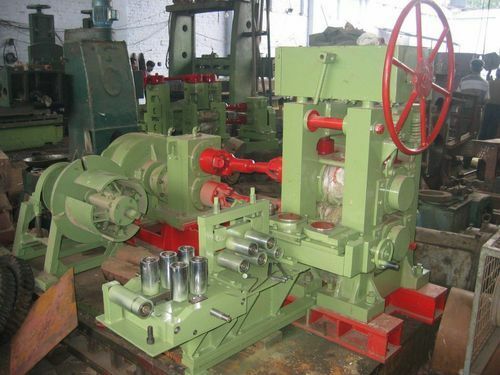 These mills are developed from the sturdy raw materials by employing sophisticated techniques to make sure precise pressing of the metal pieces made up of copper. We offer this mill assortment in a variety of sizes, capacities and specifications to cater the requirements of our wide and respected client base. Our precisely designated 4 Hi Cold Rolling Mill for Copper Strip is ideally utilized for thinning the piece of copper to develop strip. These rolling mills are developed by making use of premium grade materials and sophisticated technologies to ensure proper rolling of copper strips. 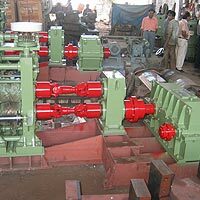 We have engineered this rolling mill cautiously to make it pertinent for various thickness and width range. 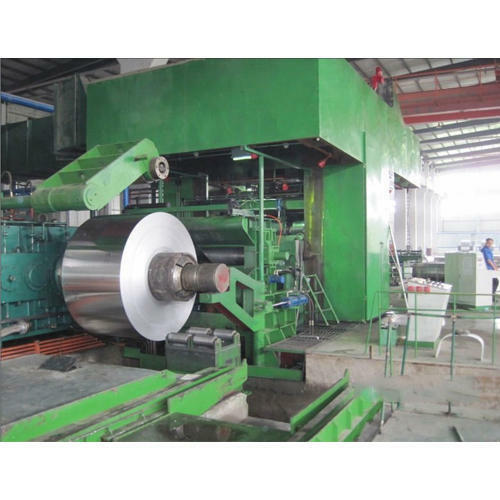 The Copper Strip Cold Rolling Mill is suitable for rolling the strips of copper metal. This mill is technologically developed from unmatched quality raw materials and most advanced techniques ensuring accurate pressing for reducing the thickness of the copper piece. The mills provided by us offer smooth surface finish to the final strip of copper with improvised strength and hardness.